Maybe you are coming to the Little Red Dot for an extended business trip, but not looking to relocate. Or maybe your visit is meant to be a preview to a potentially longer-term stay in Singapore. In either case, finding comfortable, short-term accommodation is key to giving you a homey sense while you work and explore the city. The ideal accommodation for this situation is a bit more extensive than a hotel room. Beyond the bedroom, look for parlor space and at least some storage. Limited kitchen facilities: a refrigerator, non-bathroom sink, microwave, hotplate, and – especially in Asia – electric kettle will all make your time much more convenient and comfortable. You will have a few different options to meet your tastes when choosing short-term accommodation, depending on how much independence you prefer, versus maintenance availability and consistent cleaning. Serviced apartments are glorified hotel rooms with additional space. Usually they look and feel very familiar to the structure of a hotel suite, with similar styles of décor. If your company is coordinating your travel and accommodation, it will likely be within a serviced apartment, since they generally provide corporate savings. A serviced apartment should be fully furnished and come with certain amenities – airport pickup, daily housekeeping, pool and gym facilities, shuttle services to certain key parts of town, and inclusive breakfast. Laundry machines are also standard – though whether they are in the flat and free, or coin-laundry in a hotel-wide room will depend on the building. Different sized flats, ranging from studios to three bedrooms, are available for those who are travelling with family in tow. Here are a few suggested options. You can find more by visiting this site. Located near Holland Village & Buona Vista, LMB North is placed perfectly for those needing to be close to Science Park, Fusionopolis, NUH, NUS, or the International Business Park. Featuring resort style amenities, the complex also offers close access to the Green and Circle MRT Lines, making it easy to access the downtown. While Frasers has serviced apartments in locations throughout the city, one of the most favoured is their centrally located Robertson Quay facility, which provides a balance between access to the downtown core and the greener, quieter communities. Centrally accessible to the central business district, Clark and Boat Quays, and Orchard Road, the complex also sits right above the Robertson Quay strip of bars and restaurants. 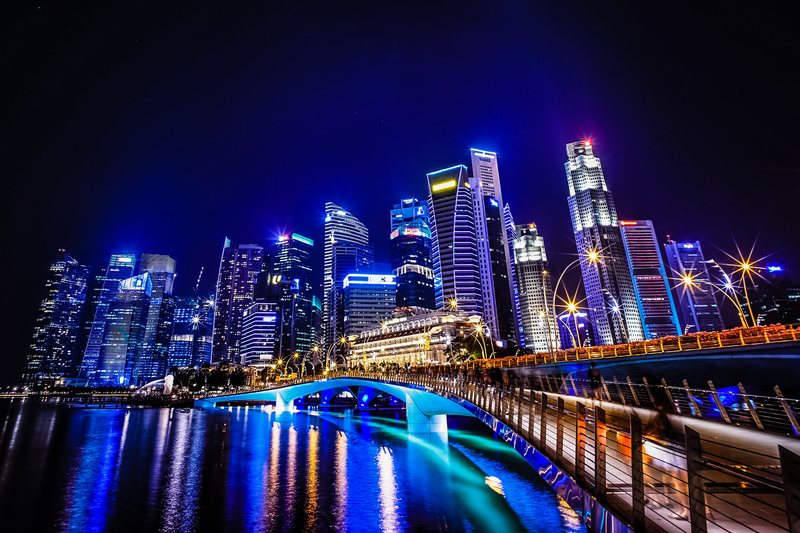 Aureolas is centrally located in Singapore’s financial district. With access to One Raffles Quay, Marina Bay Financial Centre, and Asia Square, it’s also very convenient to the sights of Gardens by the Bay, the shopping at Raffles Place, or the tasty local cuisine at Lau Pah Sat hawker center. Vacation rental services are designed for those just passing through, but who want to live and feel like locals. Whether apartments specifically designed for travellers, or flats being rented out by the people who live there in an effort to make some cash while they are travelling – these are more cozy, comfortable options. This isn’t the best fit if you’re interested in amenities, but if a room with character is important, a vacation rental in Singapore could be a very good fit. AirBnB is often credited with bringing the current trend of the “sharing economy” to the home front. The site allows you to search for residences based on dates of stay, preferred location, and whether you’re interested in a private room or a whole apartment/house to yourself. Homeaway is a newer vacation rental service that seems to fall somewhere between Air BnB and a proper hotel. The majority of flats listed on this site are generally run as businesses and rented out to travellers, for business or pleasure, looking for all the amenities of a hotel, but the local flavour of having a neighborhood flat. Roomorama is a combination between those options designed for vacationers passing through, and the section below: rooms in shared flats. The site is specially dedicated to those looking for a short-term accommodation. The site includes listings in both private homes, apartments kept for this purpose, and corporate providers of serviced apartments in Singapore. One great benefit of the listings here is the sense of character and style found in many of the flats. You can find extra savings and a better sense of the day-to-day life of the city by taking on a short-term sublet or a room in a shared flat. Be careful when making these kinds of agreements because, generally speaking, Singaporean housing law does not allow for subletting agreements. Still, there are many people leaving their homes for months at a time to travel, or shared houses that quickly need to fill a room, which can give you significant cost savings, an insiders view to life in the Lion City, and potentially a group of friends if you decide to move to Singapore more permanently. There are few official sites that provide this kind of service, so you’ll have to do a bit of digging to find a room. Homie.co is the only combination flat and roommate finder site currently available in Singapore. You can use both sides of the site to decide if you’d like to find a housemate first, and then look for a place together. Or if you prefer, to look for available rooms and then decide whether or not you like the people already living there. Facebook groups are a popular way to connect with other members of the (generally young and single portion of the) expat community who are moving in and out of the city. Several groups have been developed especially for this purpose, including FindYourRoominSG, Flats and Flatmates, and Rooms and Roommates in SG. The moderator of “Rooms and Roommates in SG” is also in the process of developing a roommate/flat search app – so be on the lookout for that.